The entire nation will take a National Pledge to eradicate the drug menace (Bak Maha Divuruma) tomorrow (03) commiting themselves to building a country free from the drug menace. 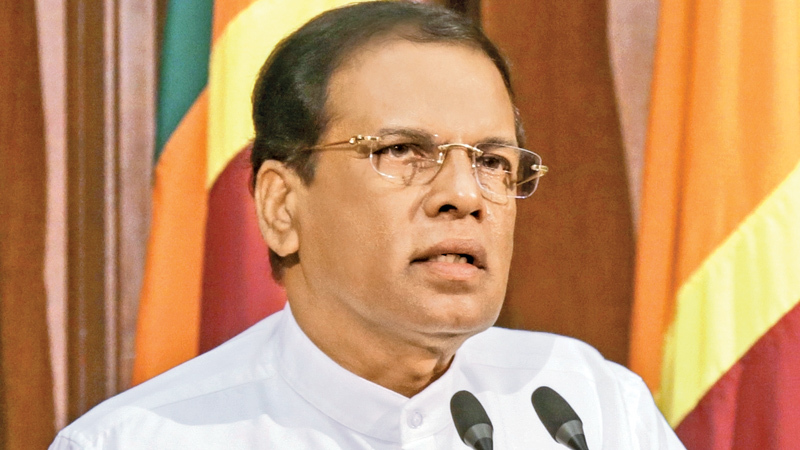 The main ceremony will be held at Independence Square tomorrow at 8.15 a.m. under the patronage of President Maithripala Sirisena with the blessings of the all religious leaders. All Members of Parliament representing the Government and the Opposition are expected to participate in this ceremony, a release issued by the Presidential Media Division said yesterday. Political party representatives including Provincial Governors and Chief Ministers will participate in this ceremony. This inaugural event will be live-streamed through the electronic media and all employees in the government sector and the public will join the ‘Bakmaha Diuruma” from 8.30 a.m. to 8.34 a.m.
Government sector employees will take this pledge from their respective institutions simultaneously. The government servants and the general public can take this pledge in Sinhala from 8.30 a.m. to 8.32 a.m. and in Tamil from 8.32 a.m. to 8.34 a.m. All schoolchildren will join with the ‘Bakmaha Divuruma‘ from their schools from 8.34 a.m to 8.38 a.m. The students will take the pledge in Sinhala from 8.34 a.m.–8.36 a.m. while the pledge in Tamil can be taken from 8.36 a.m. to 8.38 a.m.
All Sri Lankans have been invited to join this programme implemented under the guidance of President Maithripala Sirisena to free the country from the illegal drug menace.